The GLA4000-S is a powerful 12V DC (direct current) linear actuator designed for heavy loads and many quality-critical applications. Each actuator is capable of providing up to 4000N (407kg, 897lbs) of pushing or pulling force at the rated voltage. 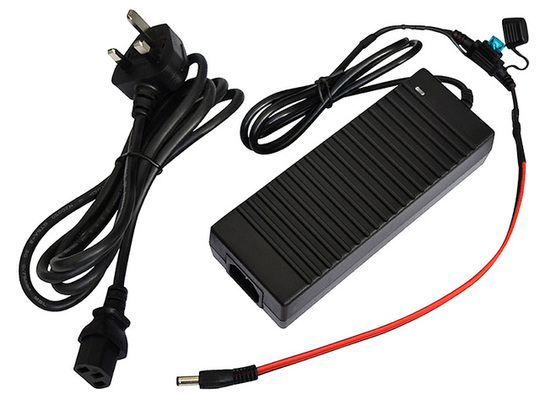 The no-load travel speed at 12V is 11mm/s while at the full rated load the travel rate is 8mm/s. This model is currently stocked in seven different stroke lengths (travel distances) of 50mm (2"), 100mm (4"), 150mm (6"), 200mm (8"), 300mm (12"), 400mm (15 3⁄4"), 500mm (19 11⁄16"). Other sizes can be made to-order, along with custom control and transmission options, please contact us for more information on these. Read on below for detailed product information. Each of these actuators is built to last with corrosion resistant materials used throughout the exterior, along with seals and a central rubber-surround ensuring that the actuator is splash-proof and suitable for most covered outdoor use (be aware that direct long-term water exposure should be avoided, the actuator should be covered to prevent rain passing over it). 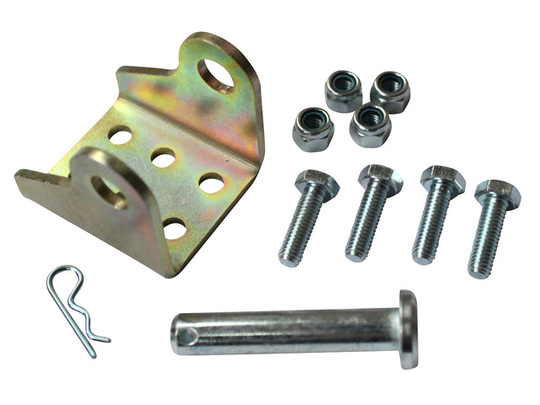 Both the front and rear mounting points are constructed from sturdy metal, unlike the plastic brackets used by some rival products. We also stock steel mounting brackets suitable for this actuator. The low noise output and smooth operation of this actuator make it perfect for powering adjustable beds, furniture, fold-out steps and similar automated features in and around the home. The larger sizes also lend themselves towards the likes of electric gates, ventilation windows and extendable structures. 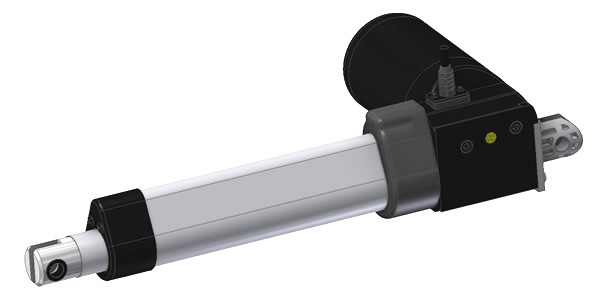 The actuator comes with a 1.4m PVC insulated lead as standard (black external sleeve with two internal cores, one brown and one blue) with uncovered lead ends. 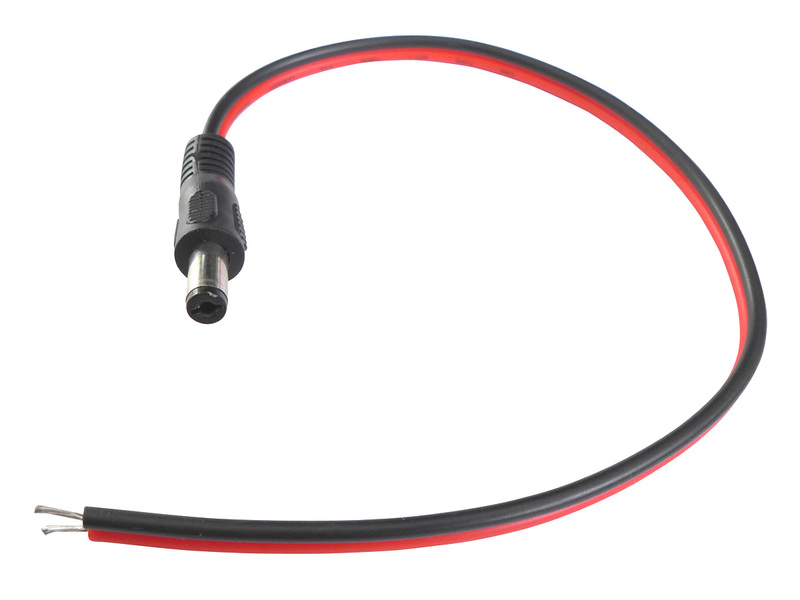 An option is provided for a DC (barrel type) power connector to be added (2.1mm internal diameter, 5.5mm external) on a 200mm lead, bringing the total lead length to 1.6m. Allow for one extra working day to process your order if a connector option is added, since these are soldered and insulated to-order. To change the direction of travel simply swap the polarity of the DC power source to the two actuator leads (this may be achieved using hardware such as our rocker switch harness or GLA-CU-X3 remote control unit). By varying the input voltage between 0-12V DC it is possible to control the speed of the actuator. Reducing the voltage will also reduce load capacity (for example at 6V the actuator will have roughly half of the maximum load capacity at 12V). This actuator is designed primarily for compression loads, it will typically work OK in tension, up to the same rated maximum load, but can be more susceptible to damage from overloading. Shock loads through the mounting points should be avoided (shock/impact loads may impart a force greater than the rated load through the actuator). 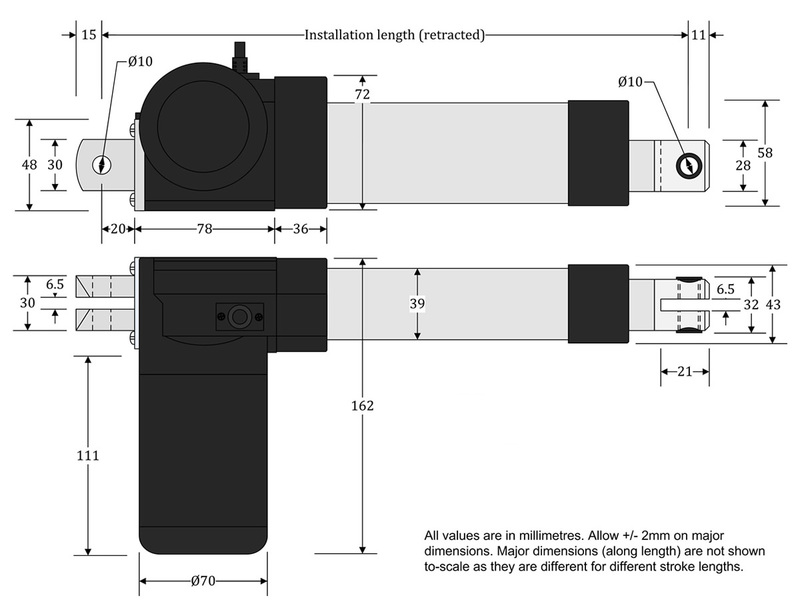 CAD models (STEP or IGS) of the actuator are available upon request. Continue to 'Technical Details' below for more product information. Maximum load: 4000N/407kg for supported (linear) loads. The maximum load should be reduced if the load is not supported in an axial direction, parallel to the movement of the actuator. Longer-travel actuators are affected to a greater extent by off-axis loads. Maximum static load: 6000N (612kg) in compression. Maximum 4000N in tension. 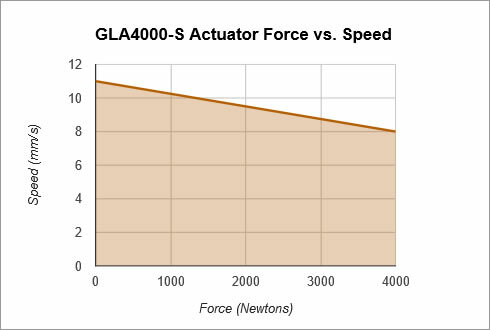 Please be aware that there may some variation in the operating performance from actuator to actuator, as a rule-of-thumb allow for a 5% difference above/below the given values. If intending to use two actuators together to drive the same assembly connect them in parallel to the input current and ensure that the driven assembly is rigid enough to transfer forces between the actuators (so as to prevent twisting if one actuator is otherwise slightly faster than the other). If your assembly is not rigid or needs to stay level with uneven loads (e.g. tabletop surfaces rising/falling level to the ground) then please get in contact to discuss automatic synchronising control options. Installation length: This is the distance from the front to rear mounting hole centres when the actuator is retracted. Add the stroke length to the installation length to get the fully extended hole-to-hole centre distance (for example this would be 600mm for the current-version 200mm stroke). Mounting: Two 10mm-bore holes. One at the end of the cylindrical piston rod, the other towards the rear of the gearbox housing. Both mounting points feature vertical slots to enable a variety of mounting methods. Body material: Aluminium piston-rod and main sleeve, plastic-enclosed steel motor housing, with toughened plastic gearbox surround. Zinc plated steel front and rear brackets. Enclosure rated to IP65, suitable for washing and short-term water exposure. If using outdoors shield actuator from direct rain.